Hi! My name is Suzanne Merriman! 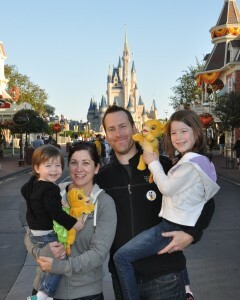 Planning a Disney vacation can be a daunting task, especially when it’s your first trip. I am here to alleviate that stress and design a personalized vacation to match your budget and wish list for a truly magical experience. The best part…Disney pays for my services and advice, not you! As a graduate of the Disney College of Knowledge, plus my own travel experience, I will share my invaluable advice on when to visit to avoid crowds, which resorts suit your family needs, the best restaurants to dine at and which attractions are a must see. Your trip will be designed with same care and attention I would give to my own family vacation. Working with me is simple and I will be your Disney travel agent from the early planning stages to the very end of your trip. When you have a question or want to change a reservation, you never have to worry about calling different numbers or dealing with different people, I am your personal travel concierge for all things Disney. I personally strive to achieve the best deal especially on vacations and promise to do the same for you, by monitoring for new Disney discounts and promotions. I can apply a discount to your current trip if Disney releases a new promotion during your travel dates, even after you book! My love for Disney travel started when my parents took me to the Walt Disney World Resort as a child. Since then, I have visited Disney properties 7 times and have been to both Disneyland in California and the Walt Disney World Resort in Florida. As a working mom of two young girls in NY, I realize the importance of making memories and taking family vacations and I am committed to helping you do the same for your family. I can’t wait to help you design your dream Disney vacation! We had done Disney on our own a few times and had good trips. But once we connected with our Disney planner, Suzanne, WOW! Our trips have become extraordinary. Suzanne takes care of all the details, so all we see is the magic. She tailors each trip to our family's needs at the time....from hard to get reservations to multiple groups traveling together to new suggestions that have become family traditions. Suzanne has planned three trips for us, and we'll never go without her! Suzanne knows more about Disney than anyone I know. She works wonders when planning vacations. I had so much fun working with Suzanne and know you will too! Hi Suzanne! I hope all is well. I wanted to tell you that we are ready to plan our next trip. We had so much fun the last couple of vacations you planned and knew to email you right away. Can’t wait to get started and know you will make it magical again!